Douglas, Europe’s leading selective beauty retailer, and Indie Beauty Media Group (IBMG), producer of the world’s largest exposition of independent beauty brands, are proud to announce a broad partnership to promote independent innovation and champion beauty entrepreneurship in Europe. The Douglas-IBMG collaboration will engage the independent beauty community on multiple levels. First, IBMG will assist Douglas in sourcing and onboarding a world-class collection of independent beauty brands across a wide range of categories. This will provide millions of beauty enthusiasts living in Europe with the opportunity to shop an expertly curated collection of exceptional products. For independent brands, this is an invaluable opportunity to be discovered by customers throughout Douglas’ 2,400 stores across 21 European countries. Second, Douglas will be the official retail sponsor for the launch of IBE Berlin, which will take place on March 22 and 23, 2019, at Station Berlin. Douglas’ support for IBE Berlin underscores the company’s commitment to make Douglas more accessible to independent brands and, by extension, make independent brands more accessible to Douglas consumers. Third, Douglas will be the launch sponsor of the German language version of the entrepreneurial- focused digital publication, Beauty Independent. The German-language version of the popular publication will provide greater coverage of European independent and emerging beauty while becoming more readily accessible to beauty entrepreneurs among the 100 million German-speaking citizens of Europe. Finally, Tina Mueller, CEO of Douglas Group, will be the keynote speaker at the BeautyX Retail Summit taking place May 13th – 14th, in Dallas, Texas, further emphasizing Douglas’ commitment to the community by investing in education and thought leadership. Douglas is IBMG’s second retail partnership in Europe and fourth overall. IBMG’s other retail partnerships include Neiman Marcus, Feelunique, and Brooklyn-based Shen Beauty. Douglas is one of the leading retailers in the European beauty industry with about 2,400 stores and fast-growing online shops in 21 European countries. In the financial year 2017/18, the company generated sales of 3.3 billion euros. Every day, around 20,000 dedicated beauty advisors strive to make their customers more beautiful and thus happier. Douglas has a portfolio of some 38,000 high-quality products in the areas of perfumery, decorative cosmetics and skincare. Providing excellent consultation and a range of unique services, Douglas is one of the leading companies in the beauty market – both online and in stores. IBMG’s mission is to recognize, showcase and celebrate independent beauty brands and to support the growth and success of the entrepreneurs behind them. 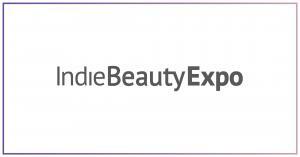 IBMG produces the Indie Beauty Expo (IBE). IBE is the largest professionally-curated international exposition of independent beauty brands. IBE is presented in five strategic international retail markets: New York, Los Angeles, Dallas, London and Berlin. IBMG has also launched a range of services to better support beauty entrepreneurs on their path to success, including BeautyX Summits focused on education and networking, Beauty Independent news and knowledge and Retail Advisory services.